From MALVirtualTour We will build an interactive virtual tour of CU-Boulder's Media Archaeology Lab (MAL), making its playful atmosphere available for anyone. Dr. Michael Gamer, a book history scholar at the University of Pennsylvania, recently delivered a lecture on the CU-Boulder campus. Following his lecture, Dr. Gamer specifically requested a tour of CU-Boulder's Media Archaeology Lab (MAL) -- a site of knowledge production deeply linked to his own academic field. Finally getting to experience the "magic" of the laboratory in person by playing with old computers, early word processors, and typewriters -- even an Edison phonograph from the 1920s! -- his overt fascination quickly turned to disappointment when he realized that his students, an incredible 1,700 miles across the country, would likely never see the lab we've created. In fact, he lamented, the current website doesn't capture the spirit of the laboratory -- its static images convey facts, but not feeling. We as CU-Boulder Department of English students took this feedback to heart, and now we're doing something about it! What if we could improve the ways in which the Media Archeology Lab is captured online? We are Erin Cousins and Jillian Gilmer, Master's candidates at CU-Boulder, and we want to build a virtual tour of CU-Boulder's Media Archaeology Lab. Utilizing professional software, we believe we can capture the sounds, physical feeling, and most importantly, the interactivity of the laboratory machines -- from the Vectrex game station to the Apple IIe! 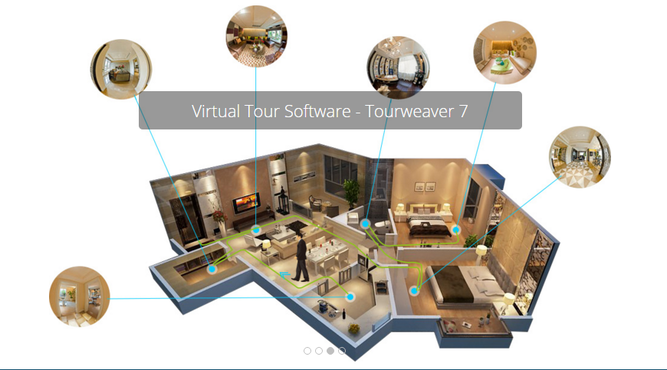 Below is an example of what the software will allow us to create, demonstrated as a residential tour. Our tour will be much different, but we can't wait to utilize all of the functionalities Tourweaver 7 will provide for our project! Help our dream become [virtual] reality! In order for us to provide full access to the great tools and resources housed in CU-Boulder's Media Archaeology Lab (MAL), we are raising funds to purchase the software necessary to create an interactive virtual tour. It's one thing to simply create a walk-through of the space, but we envision this tour to not only allow everyone to play with - and study - the equipment remotely, but will guarantee access to the MAL resources for those that cannot visit in-person. You may be asking: "What is the MAL?" There's more information and fun things to watch below. We hope you will support us so that we can share the magic of the MAL! What is the Media Archaeology Lab (MAL)? Founded in 2009 and generously supported by the Department of English at the University of Colorado at Boulder, the motto of the Media Archaeology Lab (MAL) is that “the past must be lived so that the present can be seen.” Nearly all digital media labs are conceived of as a place for experimental research using the most up-to-date, cutting-edge tools available. By contrast, the MAL – which is the largest of its kind in North America – is a place for cross-disciplinary experimental research and teaching using obsolete tools, hardware, software and platforms, from the past. The MAL is propelled equally by the need to both preserve and maintain access to historically important media of all kinds – from magic lanterns, projectors, typewriters to personal computers from the 1970s through the 1990s – as well as early works of digital literature/art which were created on the outdated hardware/software housed in the lab. Why are we undertaking this project? Master's students Jillian Gilmer (English) and Erin Cousins (Comparative Lit) began this project in a graduate Digital Humanities course taught by Dr. Lori Emerson. Inspired by the ideological divide between physiological and virtual spaces, we began building the virtual tour to promote accessibility within the academe, traverse spatial boundaries, and share the laboratory's magic with the world. We're particularly interested in the process of making and "doing" within university infrastructure. Please donate and share our campaign so we can make this happen. All gifts are tax-deductible! We can't wait to show you the outcome of our project! *Any excess funds raise will be used to provide general program support for the Media Archaeology Lab (MAL) at the University of Colorado Boulder at the discretion of the director, Dr. Lori Emerson. Have you attended any events at the MAL? The lab acts as a community hub, hosting various speakers, digital artists, and academics from a myriad of departments and institutions. We recently hosted Brian Kane, a digital musician who discussed his video art and performed live on our lab’s machines! Come check out the MAL’s next artist-in-residence, Jamie Allen, whose work investigates technoaesthetics and critical infrastructure. His performance and lecture will be hosted at 7:00pm, May 20, 2016 at Dateline Gallery. The gallery is located at 3004 Larimer St, Denver, CO 80205, and will be displaying Allen’s work from May 2nd to May 20th. With your support, we can spread the magic of the Media Archaeology Lab to surrounding communities, both in academic and non-academic spheres! Please donate or share our campaign with others! There’s still time to help fund a virtual tour of the Media Archaeology Lab (MAL)! Please consider donating our sharing our campaign link, which features updates from the last few weeks of fundraising. Unfortunately, not everyone has the resources visit the MAL in-person. With professional photo-stitching software, we hope to transform the laboratory’s static webpage into a three-dimensional, interactive space, expanding the lab’s magic beyond its physical walls! We hope you’ll join us. There’s one week left to create a virtual “archive” of the MAL! Help make the laboratory’s magic accessible for everyone! 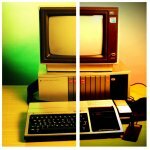 Help support the Media Archaeology Lab! This campaign is an opportunity to not only publicize the English Department in the Boulder community, but teach our students about digital pedagogy and the value of hands-on research. The Media Archaeology Lab is fully functional and hosts regular open hours during the business week (M: 9am-1pm, 3pm-7pm, T: 8am-12pm, W: 12pm-4pm, Th: 9:30am-1:30pm, F: 9am to 1pm). Please feel free to stop in individually or with a class to view what is on display, use the machines, do research, or have a class tour. The 3D effect works better with a Cardboard viewer, but also functions with a desktop computer or a laptop. Keep in mind that this photosphere will be much improved with professional software, allowing us to write out photo-stitching errors by hand and bring each machine to life. In the future, we hope that users will be able to “turn on” and “listen” to the lab’s Edison phonograph in addition to simply looking at it! With your support, we can make these 3D photospheres interactive rather than simply immersive. Help spread the magic of the MAL! Supporters will receive a personalized email depicting a technological artifact that they have helped preserve. Supporters will receive a personalized email depicting a technological artifact that they have helped preserve and a set of Media Archaeology Lab stickers for decorating all of their own technological artifacts. Supporters will receive a GoogleCardboard glasses kit, a device which brings open-sourced Virtual Reality applications to the common household. The completed MAL tour will be compatible with this device. Supporters will receive a personal tour of the laboratory space in Boulder, Colorado with Dr. Lori Emerson, the MAL's founder and director.